I'm back with a soapy review. 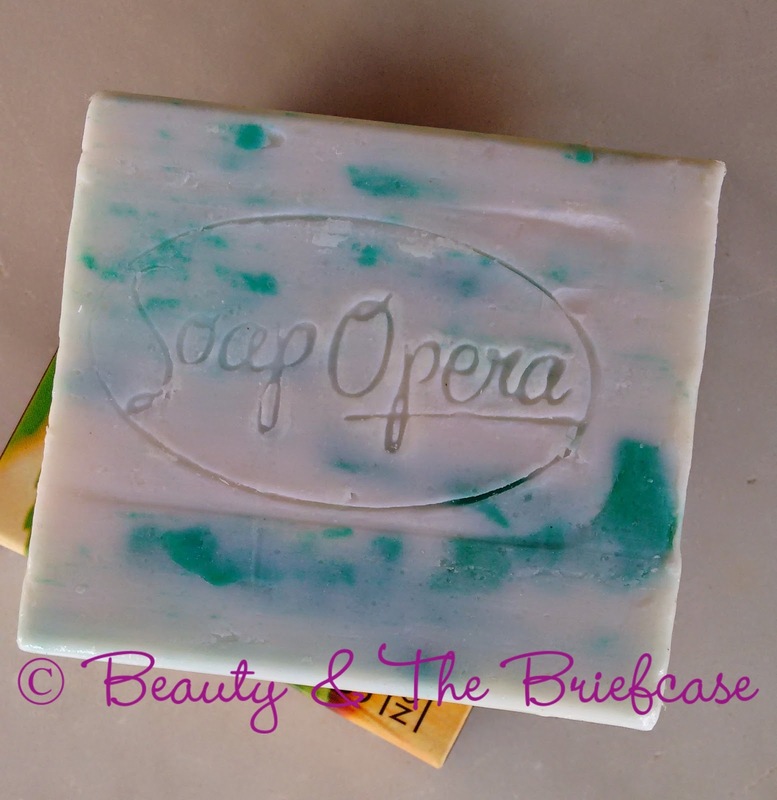 I enjoyed using this soap and hope my review tempts you to try it out as well. 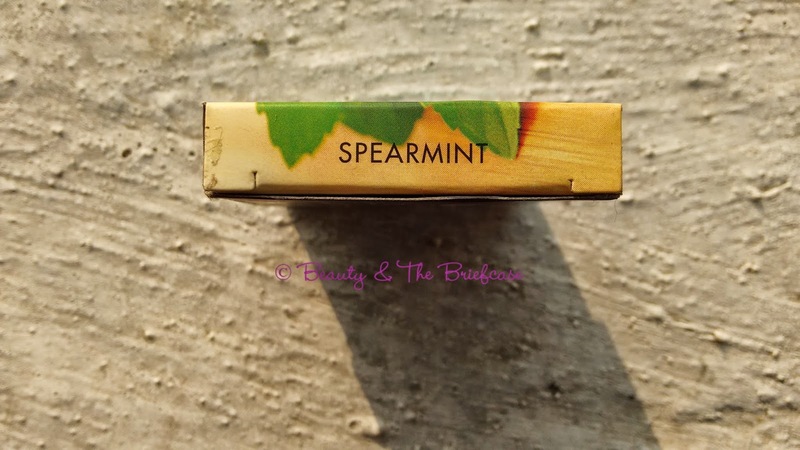 I'm reviewing the Spearmint soap which is from their Spice Collection. 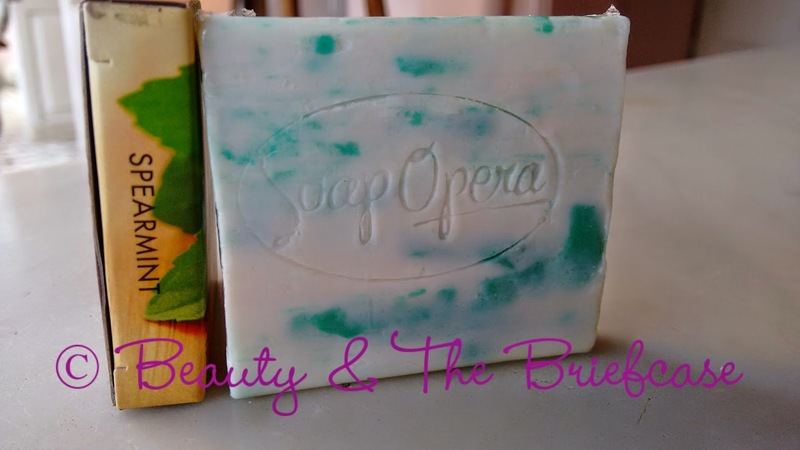 Enriched with the richness of Spearmint essential oils, the bar helps cool and refresh the body. The Olive oil base adds extra moisture to the skin. 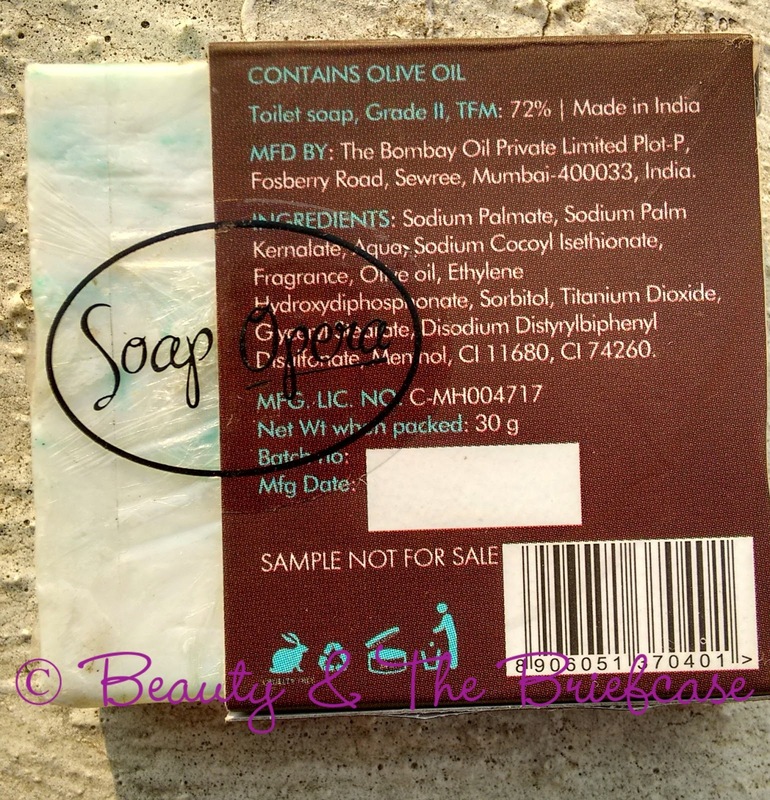 The soap bar is free of sulphates, parabens, formaldehydes, and is non-carcinogenic. 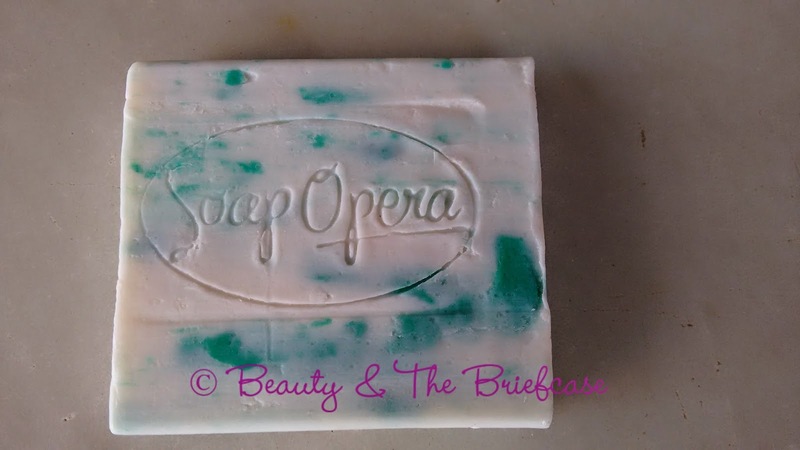 The soap is white in colour with tiny specs of spearmint. OMG i'm just in love with the fragrance of this soap. I'm a huge fan mint, i love it in my chocolate, my bath products and even in my lipsticks... I love the Revlon balms because of the minty fragrance. 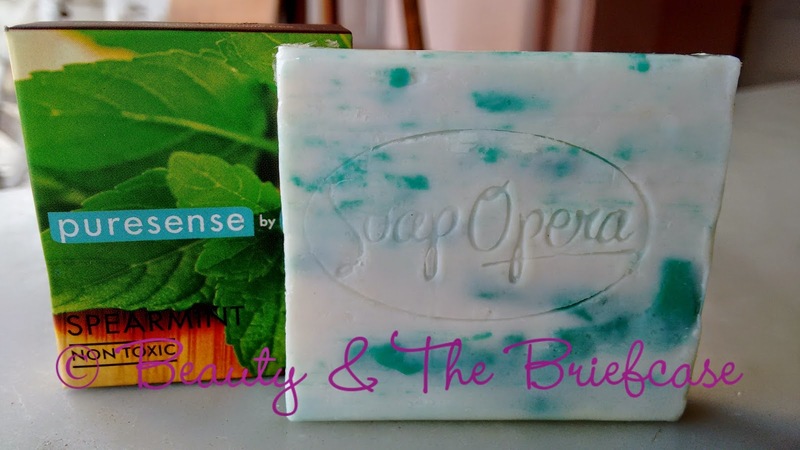 The spearmint soap keeps my body cool and refreshed. The soap maintains its shape and lasts for a really long time. It lathers really well and keeps the skin moisturised. I like the packaging of these soaps, its pretty simple but very different from the usual soap packaging.